Resource center A Look at Drug Abuse. Common Signs and Symptoms What Are the Legal Ramifications of Drug Addiction? The legal ramifications of drug use vary depending on local ordinances, state statutes and laws, and, in some cases, federal guidelines. We’ll look at the general legal consequences of having an addiction to a drug. Of course, this is a broad area, and those wishing to find out more about local ordinances and state laws should visit the websites associated with their city or state. Criminal offenses related to the association with other offenders or with illicit drug markets. The acquisition of a legal record that could result in a number of ramifications for the individual for the rest of life, such as difficulties obtaining certain types of employment, difficulties getting credit, etc. According to the data, most individuals incarcerated for drug-related issues were not arrested for simple violations concerning possession of drugs. In 2008, prisoners serving time under state jurisdictions for drug-related offenses comprised 18 percent of the prison population. Only 6 percent were serving time for possession and a little over 4 percent were drug offenders who had no prior criminal sentences. In 2009, nearly half of federal prisoners were serving time for some type of drug-related criminal behavior, and nearly all of these had been incarcerated for drug trafficking. Possession-related incarceration often depends on the type of drug. For example, only one-tenth of 1 percent of state prisoners who had no previous criminal record were prisoners incarcerated for marijuana possession. Of course, this is not to say that there are no legal ramifications for drug possession. Obviously, individuals who are caught in possession of drugs like heroin and cocaine will face substantially stricter legal regulations than individuals typically caught with small amounts of marijuana. These individuals are generally fined heavily and sentenced to lengthy terms of probation in court-mandated treatment that are both expensive and very trying to complete. When individuals are unable to complete these conditions of probation, they certainly face the potential of incarceration. Issues related to simple drug possession are among the least concerns related to addiction. Drug or alcohol intoxication will impair one’s judgment and open one up to engaging in illegal acts that can include such things as driving under the influence, attempting to steal items to pay for drugs, domestic violence, and other forms of violence and issues with impulsive behaviors. According to the National Institute of Health and United States Department of Justice, in 2012, almost 7 million adults were involved in either the state or federal prison system as a result of some drug-related offense, and nearly 5 million were on parole or probation. In addition, surveys indicate that nearly 70 percent of prisoners in state or local prisons and 65 percent of prisoners in federal prisons regularly engaged in some type of drug use prior to being incarcerated. The same research indicates that nearly 25 percent of violent offenders in state prisons committed the act that led to incarceration under the influence of some drug. The bottom line here is that individuals with moderate to severe substance use disorders are far more likely to wind up in the legal system as a result of their drug or alcohol use than individuals without these issues. Even though the majority of individuals who are incarcerated regarding drug or alcohol related offenses are not incarcerated due to mere possession, individuals who are addicted to drugs or alcohol often pay steep penalties for their actions when they are under the influence of their substance of abuse. In 2013, over 10,000 people were killed in alcohol-relating driving crashes, which is nearly one-third of all traffic-related deaths in the United States. In traffic accidents where the driver was an alcohol-impaired driver, 200 children died. In 2012, over 1.3 million individuals were arrested for driving under the influence of alcohol or narcotic drugs. Self-report data indicates that 121 million individuals report episodes of driving under the influence. About 18 percent of deaths occurring as a result of traffic accidents involve the use of other drugs such as cocaine or marijuana. Often, these drugs are used in combination with alcohol. The legal ramifications for even a first offense driving under the influence of alcohol vary from state to state; however, many states are now requiring individuals with first offenses to receive suspended license sentences, lengthy probation, mandated alcohol treatment, and, in some states, even mandatory jail sentences. The financial cost of the offense is often increased exponentially by very expensive legal fees. In many states, individuals who receive three alcohol-related driving offenses in the course of their lifetime are charged with a felony on their third offense. 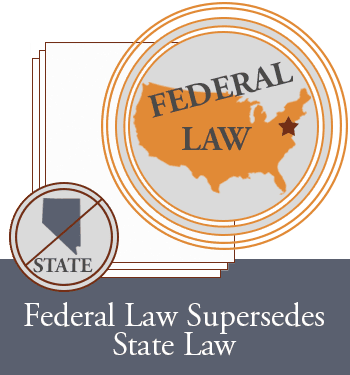 Felony offenses result in a number of other legal complications, including mandatory jail time, extraordinarily expensive fines and legal fees, and issues with obtaining employment in the future. Mothers Against Drunk Driving posts the potential legal issues by state associated with being involved in an accident causing the death of a person while under the influence of alcohol. This does not include such issues as higher insurance premiums, lost wages, cost of treatment, etc. In addition, the costs of subsequent offenses are nearly doubled per offense. The legal ramifications of having an addiction can be very extensive. The bottom line is that anyone who performs a cost-benefit analysis of addiction is most likely going to conclude that the cost of the addiction far away outweighs any benefits one receives from the behavior. Interestingly, in spite of these strict legal ramifications, researchers who look at the effect of strong legal ramifications for drug use/addiction have observed that even in areas with extremely harsh legal ramifications, these consequences have little effect on drug abuse, addiction rates, and drug trafficking (e.g., Singapore). The solution appears to be better access to treatment for addiction as opposed to stricter legal penalties.